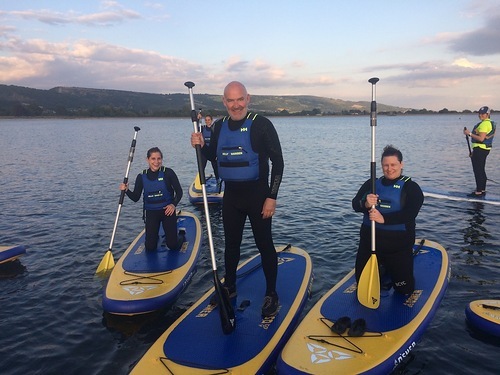 2017 saw the introduction of paddlesports at Cheddar Reservoir. Members can bring their own canoes, kayaks or SUPs to the club. All craft MUST be washed down prior to launching to avoid contamination by invasive species. Paddlesports is allowed on the reservoir seven days a week in the summer using the member's buddy system when club safety cover is not available. The club has ten Stand Up Paddleboards that can be hired for £5 an hour on a first come, first served basis - and regular one night every week - BSUPA Ready to Ride sessions, and SUP Yoga sessions.